Now this is a surprising elective selection by singer-actor Park Hyung Sik. 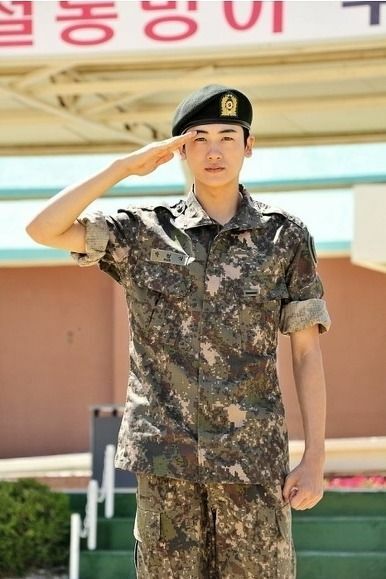 It’s been revealed that he applied for the elite Capital Defense Force of the South Korea army for his upcoming military enlistment. I’ve heard of the army, navy, air force, marines (hardest of them all), and of course public service for those who are physically unable to do the other four active duty posts. The Capital Defense Force is part of the army and is basically an elite squad specifically tasked with protecting the capital of Seoul in an enemy attack. Think of it as the Palace Guards of old. Sounds pretty important and likely entails quite a lot of work even getting in and afterwards some badassery training. Good luck to Park Hyung Sik, I hope he gets selected since he wanted this and for showing a desire to tackle something difficult but rewarding. Nowadays, I got so worried reading news due to the many bad behaving celebs. When news about him recently popped up, I got so anxious. Thankfully, it’s a pleasant news that showcased of what a determined young boy he is. I hope my boy won’t let me down. So, so cute! Wish he could’ve done a drama that I could watch when I will miss him as he serves, but he was busy with his movie and musical. Wishing him the best. He’s a sensible man with a good head on his shoulders. I know he’ll serve well. He has the potential to really do good as an actor. I watched his musical and I would say that he really works hard to give an exemplary performance. Am really impressed not just because of his talent, but also of his attitude. He is well-loved by peers because of his kindness too. Will really miss him. I know you’ll do well Hyungsik. Take care.